New test wells have been drilled on N. 11th Street in Williamsburg across the street from the Roebling Oil Field. The latest wells are in front of 213, 215 and 217 N. 11th Street, which is across from the Roebling Oil Field/Roebling Oil Buildling. In July, the Department of Environmental Conservation hired a contractor to do an independent investigation to identify the source of oil contamination. Officials still aren't certain of the source of the oil, although it is believed to be "localized." Preliminary test results that are known have shown that "free product" is still present underground. Residents and neighborhood activists have complained of difficulty obtaining information from DEC and of getting any of the consultant's environmental reports, including test results from wells that have been previously drilled. 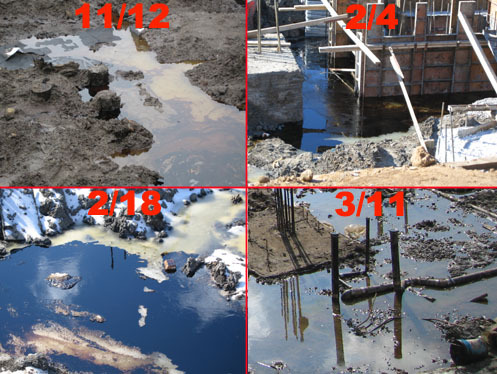 GL obtained a Department of Environmental Spill Report dated June 13 that summarizes DEC's oversight and interactions with the PW Grosser environmental consulting firm that has been hired by the developer to oversee the problem and the cleanup and to conduct testing. (The Department of Environmental Conservation has not done any direct testing.) Among other things, the report showed that two gallons of "product" was recovered from one of the test wells previously drilled, indicating continued presence of oil underground near the McCarren Park Mews condo development. In addition, on May 10, "BTEX," which is an acronym that stands for Benzene, Toluene, Ethylbenzene, and Xylenes was found in test wells on Roebling Street, although the concentrations are not indicated. 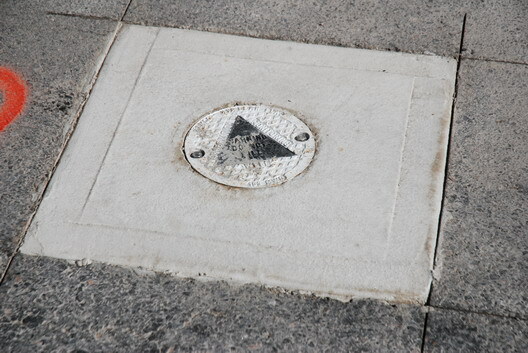 (The test wells have been drilled in the street and sidewalk around the Roebling Oil Field/Roebling Oil Building.) The report also indicates that, in April, water from a rainstorm from the contaminated site was pumped directly into the sewer system although a state official noted that "no sheen/evidence of oil was observed during my visit." No testing has been conducted to determine if vapors associated with oil or gasoline are present in the basement of neighboring buildings, including a condo across the street. Meanwhile, Department of Environmental Conservation officials at one point this summer were themselves complaining of difficulty obtaining information from the environmental consultant. In mid-June, an official noted the department was having "a hard time" getting test "official" test results. No word on when more test results or those from the brand new test wells will be available or available to the public.